THREE STATES IN ONE INCREDIBLE DAY OF CYCLING! An incredibly unique, challenging and beautiful century event. General Information and Ride Rules – Please Read! 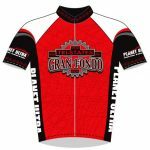 Gran Fondo – Until September 24: $55. Late entry: $60 at the door with reservation. Ultimo Fondo– Until September 24: $75. Late entry: $80 at the door with reservation. Please read our registration and cancellation policies before signing up. ** If you’re planning to ride this event and know you can bring along a volunteer, please email us in advance of signing up and we’ll give you a coupon code to use during registration for an instant 20% off. By helping at the event, the volunteer you bring earns an entry to a future single day event for only $25. If the volunteer is a non-rider then YOU can have the entry. So you get two nice deals: An instant discount for promising to bring a volunteer, and a $25 entry fee for your next event. Entry includes chip timing with overall and age category results posted to the web; fully stocked checkpoints along the route with water and a great selection of food and snacks; roving SAG support; Tri States Gran Fondo finisher award (guaranteed for those who sign up at least 30 days in advance); post-ride snacks and refreshments; per rider donation to Challenged Athletes Foundation. Click the SignUp button to pay by credit card (includes a small service fee). You may also use that button to view the registered rider list. Please read our new cancellation policy before registering. To pay by check, download and mail in this form. Your mail-in form and check must be received no later than September 25th. Event jerseys may be ordered with registration. Guaranteed delivery in Mesquite if you purchase by July 15th. Otherwise, if we don’t have your size on hand, we’ll be placing a re-order after the ride and will mail your jersey to you. We will have a sizing kit at the event. Rising Star Sports Ranch Resort, 333 N Sandhill Blvd in Mesquite, Nevada. Our group rate for standard queen is $69 and deluxe queen $79 per night (plus taxes). Call 844-796-7827 and ask for the Planet Ultra block to make your reservation. Rates expire September 13th. The Rising Star is a beautiful new facility your entire family will enjoy. Free shuttle to Eureka Casino just down the street. If you’re driving in the day of the event and not staying in Mesquite, there’s plenty of parking on site. Friday night from 7:00-8:30pm and Saturday morning from 5:45-6:30am at the Rising Star. We offer early check-in Thursday in St George if there is sufficient interest. Please let us know. This is not a race – it’s a timed event. You must hang your number plate facing forward on your handlebars, and you must ride through the start/finish arch. Ultimo Fondo: Open start window from 6:30-6:45am. All riders must start during this 15 minute period, or they will not receive an official time. We do expect most folks to leave right at 6:30am; so if you like riding in a group, please be ready to roll! Note – Route sheets are available in excel format to registered riders if requested via email between 2 weeks and 5 days before the event. However, we can’t guarantee that the route sheet will be 100% accurate. Though not anticipated, last-minute routing changes may be required. Links to the RideWithGPS.com maps and download files are below. Ultimo Fondo Route: 112 miles with about 8,000′ climbing. Heading north from Mesquite, in just over a mile you cross the border into Arizona, and after a bit of rolling terrain, up you’ll climb – straight into Utah and to your first summit at mile 27. You’re rewarded with an incredible 7 miles of scenic descent, where you’ll get your first glimpse of the beautiful red rocks which make Southern Utah famous. Hang a left at the bottom of the hill and enjoy the rolling terrain out to Gunlock State Park. Past Gunlock you’ll continue a gradual climb to Eagle Mountain- a short, but quad busting 10-12% grade. From here it’s mostly up – finally climbing “the Wall” to the quaint town of Veyo, your next summit at mile 50. After another short climb out of Veyo, it’s mostly downhill, with a few easy rollers, for the next 20 miles. Be sure and take in the awesome scenery overlooking Snow Canyon State Park! Next you’ll ride through the quaint town of Ivins and enjoy the red rocks of Kayenta. Save something for the end! At mile 80 you’ll hit the last big climb – 7 miles on the return trip over Utah Hill. From here, it’s mostly downhill, across the border into Arizona, and finally back to Mesquite, Nevada, where you can relax, revel in your success and enjoy the celebration of a fantastic day in the saddle! Distance: 112 miles with about 8,000′ of climbing. 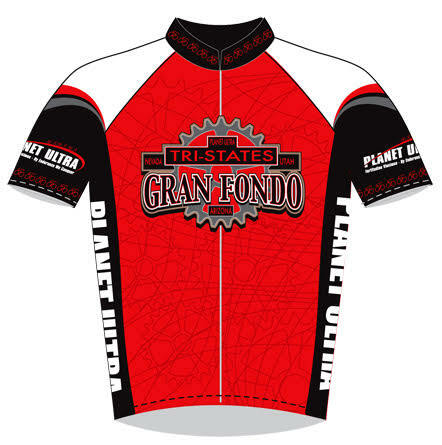 Click here to view the Gran Fondo route map and download-able GPS files. Gran Fondo Route: 54 miles with about 2,500′ climbing. The Gran Fondo is an out and back up to the summit of Utah Hill. You’ll ride the same first 27 miles as the Ultimo Fondo, then turn around, and coast nearly all the way back to Mesquite! Routing and Navigation: Planet Ultra route sheets include lots of information to help riders navigate. For example, we’ll let you know if a turn is at a stop sign (SS), traffic light (TL) or T-intersection (T-int). We know riders like to have the course marked; and we do our best to make that happen (unless it’s forbidden by our permits, otherwise illegal, somewhere that locals would be really upset about it, or the turn is at a place that’s very obvious, like a big green highway sign). Many of the towns/cities/counties specifically request that no markings are placed in the road. Some of our permits are contingent on NOT marking turns. Over the past few years we’ve sadly experienced locals or random drivers removing the arrows or pointing them in the wrong direction after we’ve placed them. So please don’t rely on arrows. You won’t get lost if you’re mindful of where you are on the route sheet. Please understand and take responsibility for navigation. Make it part of your experience. If you’re navigationally challenged, please use a GPS. Not allowed! If you bring one, you’ll be disqualified from the event without warning. The definition of a personal SAG is any vehicle (motor or otherwise), anywhere on the route, operated by someone other than Planet Ultra staff, that is providing any type of aid, assistance, or motivation, or taking photographs, or simply out cheering. Please understand that our permits simply don’t allow dozens of extra vehicles on the roads or at the checkpoint locations. Imagine the traffic from all those cars! If you’re bringing someone with you who wants to be out on the course, please have them contact us and join our volunteer staff. We always need volunteers! Click here for information about positions available.